It was a quiet night and, like last time, while we were waiting for people to arrive, we started off with the cooperative card game, The Game. This time it was only a three-player game and we had a terrible start when Blue’s initial hand had nothing below forty or above sixty. Things got worse when, a few rounds later she was left with little between ten and ninety. We struggled on manfully, but we finished with a total of twelve unplayable cards left at the end – we were not even close to matching our recent success. With the arrival of Black and Purple, we decided to move onto our “Feature Game”, Notre Dame. 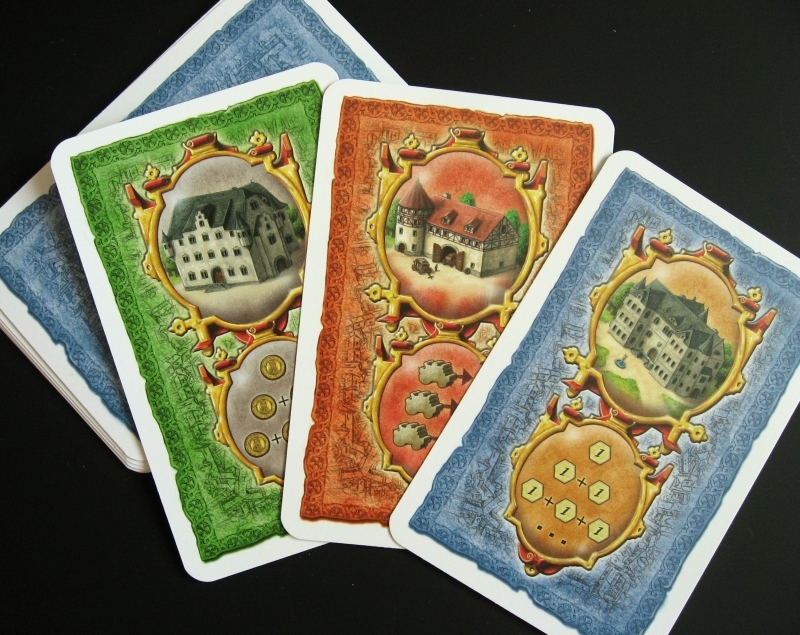 This is one of the first games published by the highly prolific game designer, Stefan Feld, who also designed some of our other favourite games including The Speicherstadt and Amerigo. 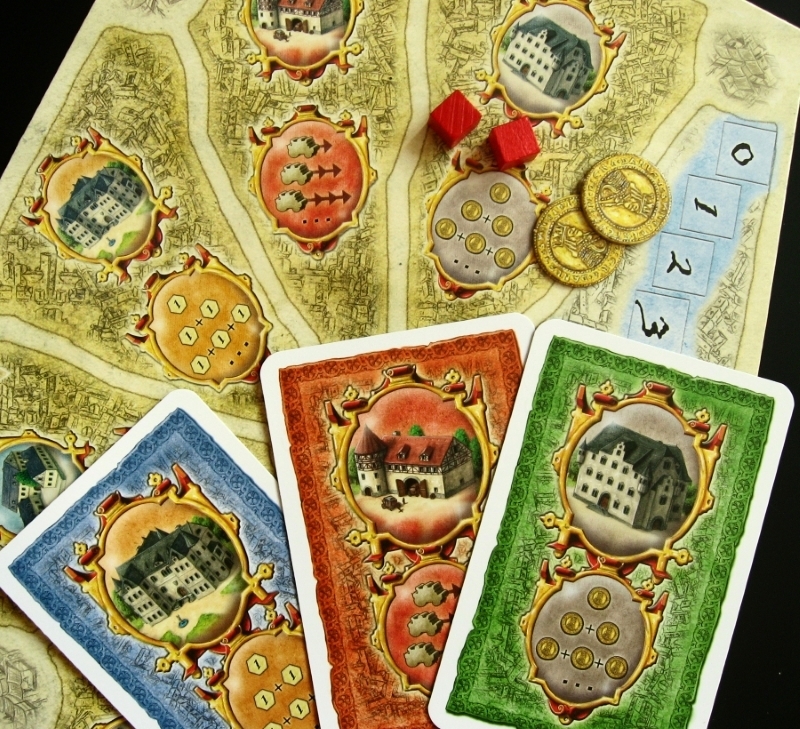 Feld’s games are often referred to as “point salads” – i.e. games where players can build their score from lots of different sources and Notre Dame is one of these games. The round starts with the revealing of three character cards which can be hired at the end of the round. This is followed by drafting three action cards: each player draws three action cards from a personal deck of nine, keeps one and passes the other two to the player on their left. From the two they receive, they then choose another one to keep and pass the remaining card on so that everyone finishes with a hand of three cards, one card from each of the two players to their right. Beginning with the start player, there are then two rounds where each person plays one card, discarding the third. One way of looking at this is as worker placement where the card drafting is just a novel way of restricting choices. The actions include things like collecting victory points, collecting money, moving the players carriage and so on. However, in order to be able to carryout the action, players must place a “worker” (called influence cubes in this game) on the corresponding sector of their map. The clever part is that the reward yielded (i.e. how many victory points they get, how much money they receive or how far the carriage can move etc.) depends on the total number of influence cubes in the sector. Thus, for placing the first cube in the banking sector, a player will get one coin, but if they later add a second cube, they get two coins, and so on. At the end of the round, players can then hire one of the characters for the fixed cost of one coin. Finally, once everything else has been dealt with, everyone increases their rat population according to the number of rats shown at the bottom of the character cards (which were first displayed at the start of the round). If a player exceeds nine rats, then nasty things happen including loss of influence cubes and victory points. Every third round, the cathedral is scored. This is an area of the board that everyone can place an influence cube in, in exchange for a donation to the church. 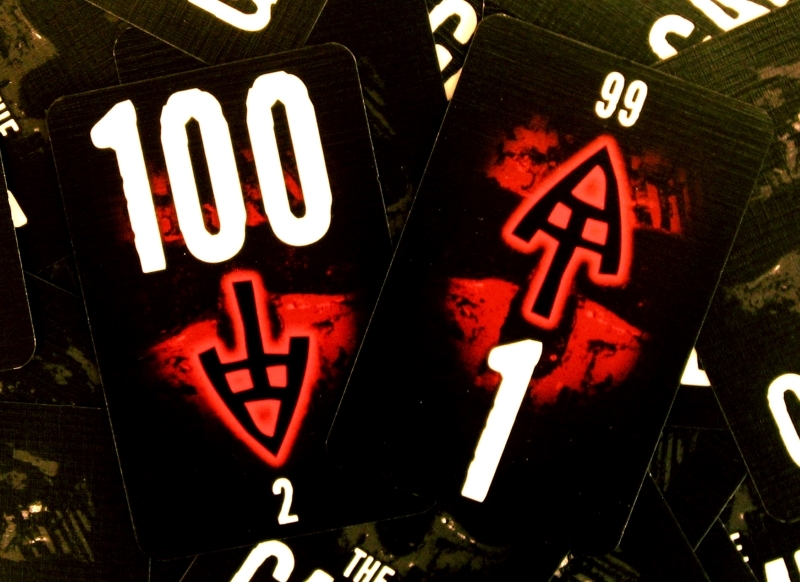 When it is scored, a set number of points is divided amongst the players depending on how many influence cubes they have in the Cathedral area. For example, in a five-player game, twelve points are up for grabs; when four of the players each have one cube in the cathedral, they will get three points a piece, but if there is only one player with a presence in the cathedral, that player will take all the points. Like most good worker-placement type games, players always want to do more things than they can. For example, if a player does not have sufficient cubes in their personal supply, then they can move them from somewhere else. That means the original action has one influence cube less, however, and consequently will yield less reward. So, one of the actions is to get additional influence cubes. For this reason, players have to try to make sure that they maintain a sufficient supply of cubes by carrying out the corresponding action. With only two actions per round though, this is difficult. Similarly, without money players cannot hire one the characters and at the end of the round, the rat population increases so it is essential that players stay on top of that too. Meanwhile, the winner is the player with the most points at the end of the game, so players also have to try to collect victory points whenever they can. Everyone started out a little unsure of what to do, but we got the hang of it quite quickly. Black started out best, having played before he had an idea of what all the actions could do and how the game would develop. At the end of the third round, the Cathedral points were shared evenly between Burgundy, Blue, Green and Black. Meanwhile, Burgundy was trying to collect messages with his carriage with the idea that they would allow him to get points as well as maintain his cube supply and control his rat population. However, this plan backfired and he got stuck without money which meant he couldn’t hire characters. Green had a plan to try to alternate between picking up cubes and money, but somehow couldn’t quite make it work. Blue was just picking up what she could when she could, and then got lucky picking up all the Cathedral points at the end of the sixth round. Totaling up the scores showed that the game was much tighter than we all thought, but ultimately difference was caused by the Plague. Blue and Green invested heavily in keeping their rat population under control, ensuring the plague never broke out and did best. There were only eight points between second and last. Being the sole beneficiary of the second batch of Cathedral points put Blue eight points clear of Green in second which annoyed him as he felt he could have shared the points if he’d spotted it (or listened to Black who had pointed it out just before his last turn). We all really enjoyed the game, finding it a bit different with very tight choices, especially at the end. Definitely a game to try again sometime soon. We finished the evening with a quick game of one of our current favourite “push-your-luck -fillers”, Om Nom Nom. Burgundy won the first round with fifteen by taking a whole bunch of carrots unchallenged. Green declared that he disliked this sort of game because it was far too luck dependent. The second round was much tighter; Green decided to try a new strategy – choosing two cards playing the one he least liked, but although this sort of worked for the first card or two, it didn’t after that. Blue was the clear winner of the final round with sixteen, thanks to a swarm of flies. This gave her a total of thirty-two, eight more than Burgundy in second and a clean(ish) sweep for the evening. Green finished last – Luck? What luck…? This entry was posted in Games Night and tagged Amerigo, Notre Dame, Om Nom Nom, The Game, The Speicherstadt on October 3, 2015 by nannyGOAT.